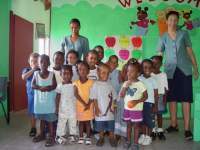 Welcome to Windward Primary School. Thanks go to Cindy Fletcher and Roxanne Pollydone for letting us visit the school. that is cool! 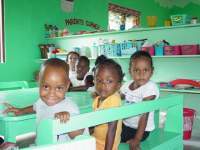 The Windward Pre-Primary school is located in the fishing village of Windward situated to the north eastern side of the island. 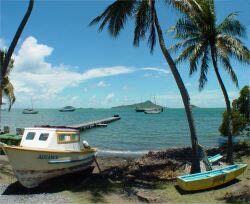 This village is also well known for it's many boat builders.Our ancestors came from Scotland hence the reason why there are so many Mc's living in this village. The Windward Pre-school was housed in a private dwelling for over 20 years,a very concern and generous citizen living in London gave his house freely to be used as the school. Pam school was called so because of the teacher Ms. Pamella McFarlane.She was followed by many others after she migrated to the US.Mrs.Corine McDonald,Carmen McLawrence,Yevonne McLawrence and Rholda Quminer. 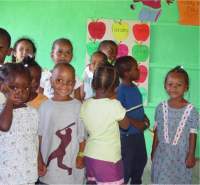 However,after many years of waiting,the Government of Grenada started our very own school but could not be completed.The P.T.A and some concern citizens started to work out a plan and every possible event was held to raise much needed funds to ensure that the Windward Pre school becomes a reality. Finally in January 1996 the Windward Pre-School unfinished but open it's doors . Special thanks to the Government of Grenada,the business sector,community of Windward and surrounding areas and well wishers here and abroad.Also a great thanks to the Canadian funding agency who plastered and painted the out side of the building,erected two pieces of play equipment and constructed a concrete road from the main road to the school,and a pavement around building. 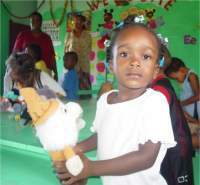 Thank to the children of Barbados who so generously donated their toys for the children of Carriacou this Christmas. 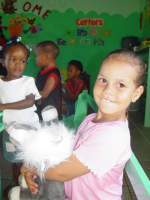 United Caribbean Trust was the proud distributors of these gifts. 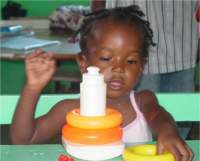 To date, we have 22 students:11girls and11 boys of which 15 are 4+ and 7 are 3+ students. (Two)3+ boys and nine 4+ boys.Five 3+ girls and six 4+ girls. Daily the students are dressed in uniforms(Red and white,Mon.&Tues. )and(Blue and white Wed & Thus. )On Fridays they are dressed in a T-shirt and jeans.Our school starts at 9:00 and ends at 2:30pm. 1. HOME IS SCHOOL TOO. (Parents come to the school with materials to make things to be taken home to help their children with the help from teachers. 2.Book ah week (A book is given to the student each week to be read to and taken back to be exchange. 3.At the beginning of the term parents are enlighten on the things that will be covered during the term. 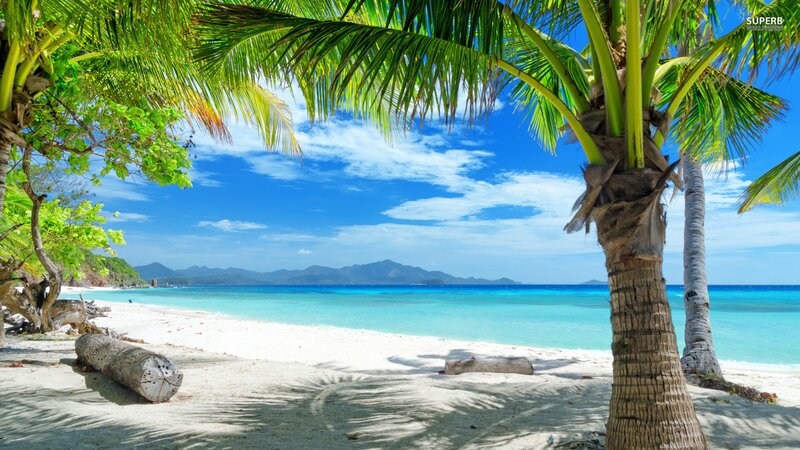 4.Each term the students are taken out Maybe to the sister isle Grenada or to a place of interest here in Carriacou. 5.At Christmas they are taken out for dinner at a favorite place and a gift exchange is done. Our communication with parents are through notes or meetings since the school has no phone.Our staff consists of two teachers,Cindy Fletcher and Roxanne Pollydore and imani(Helper) Kerensa McLawrence. and equipped to enter kindergarten and the wider world of learning.